Any RPG player knows that the mightiest weapons such a gamer can wield are the dice. All dice need a good home, and what better home than a nifty dice bag? If the online selection of dice bags doesn’t fully satisfy you, I’m here to share some techniques on how to create a personalized dice bag fit for your craft level! “Drawstring” — you can use yarn, ribbons, shoelaces, etc. Buttons, patches, fabric paint, pretty much any decorative thing you desire! When I listed “sock,” I wasn’t kidding. If knitting or sewing is too much of a hassle, an easy way to get your hands on a pre-made pouch is to use a sock. 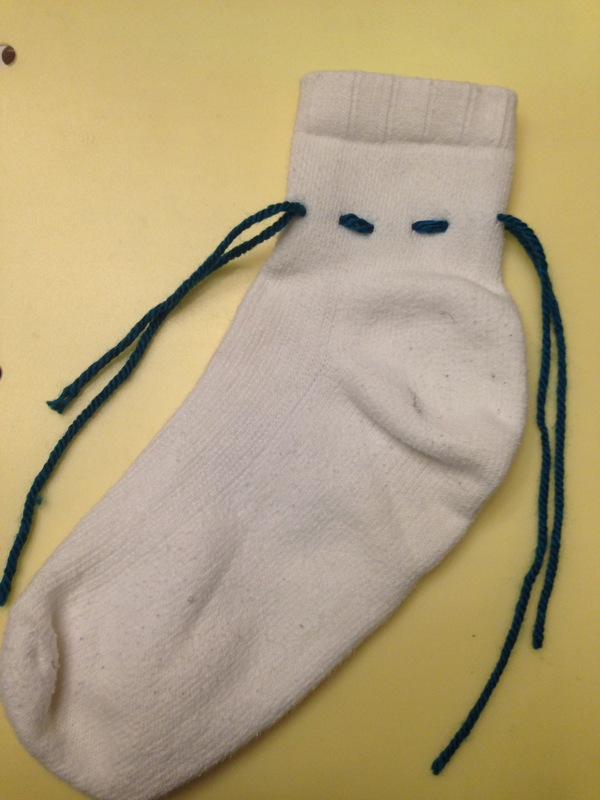 We all have that one sock whose partner was lost to the laundry elf. So instead of leaving it lonesome in the drawer, you can upcycle it into a gamer-friendly dice bag. 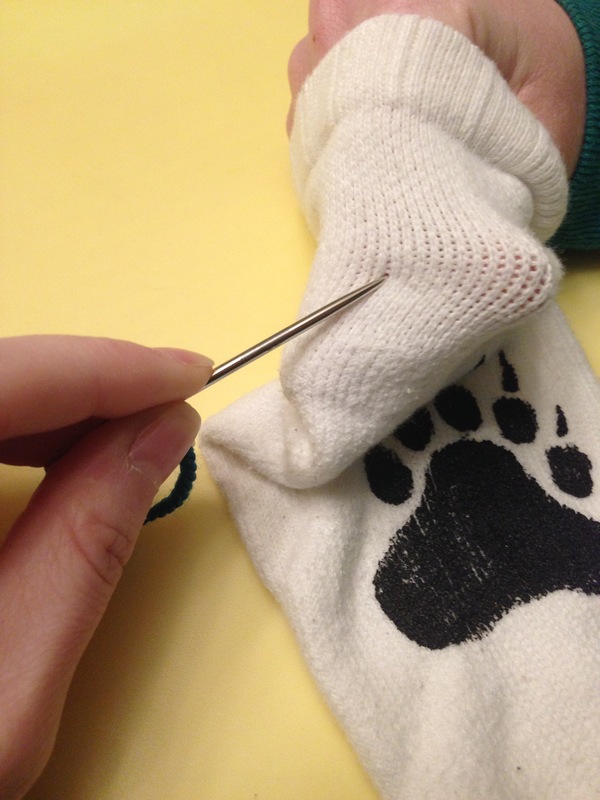 The trick in finding the proper sock is to make sure that sock has big enough holes between its stitches to fit some sort of string between them. From there, the rest is a cinch. Above, I’ve stretched the sock to show the separated stitches. 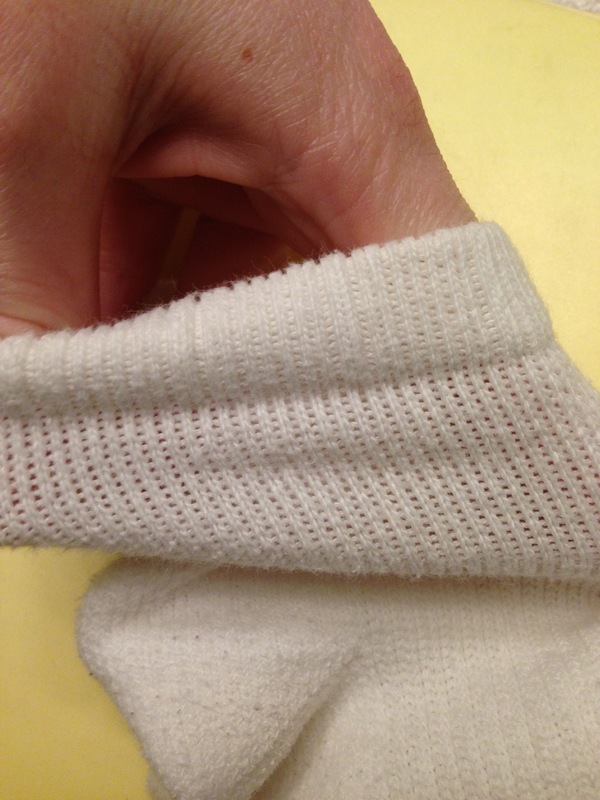 Socks usually have a pattern of “v” stitches with “-“ stitches in between. The string will be woven through the spaces of the “-“ stitches, so ample room here (fit for a thick needle) is what you must look out for. 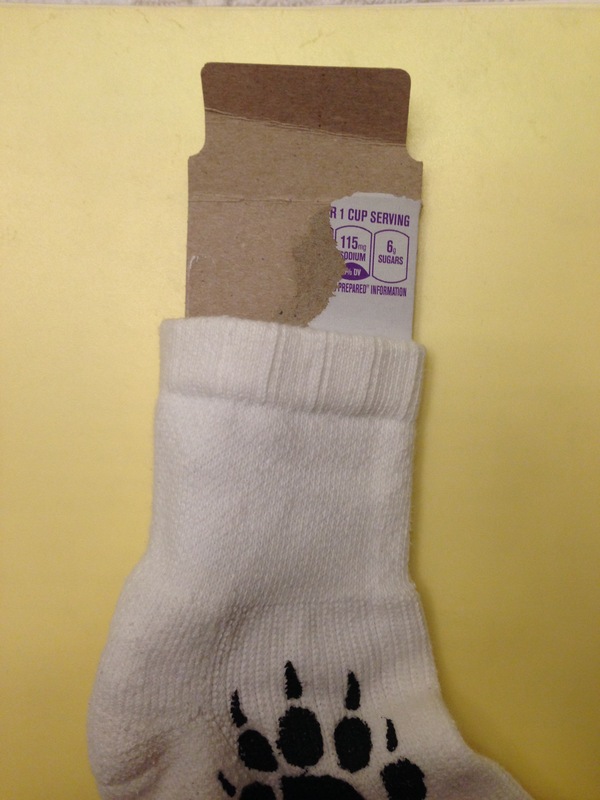 Again, you’ll first want to find a bag-like sock, not too big and not too small. 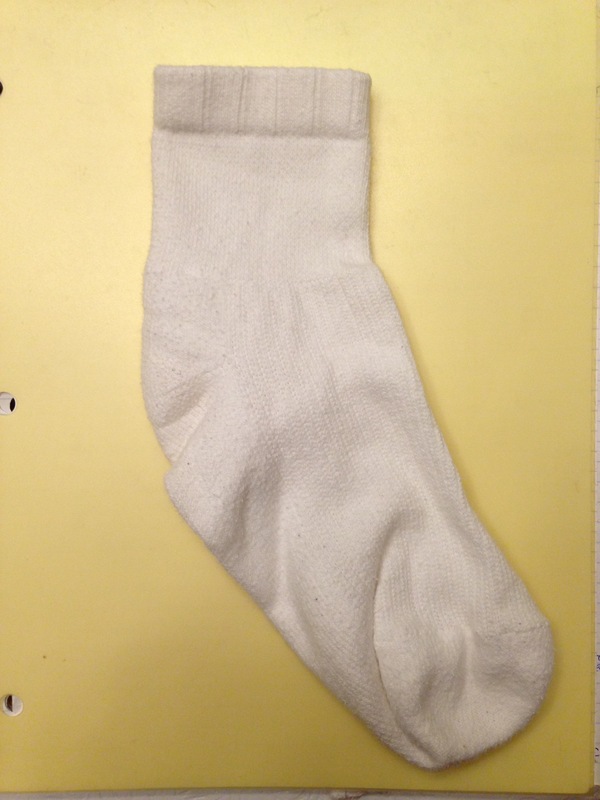 I found myself a white sock that’s been washed and bleached. Next, I’m going to decorate the sock however I please. You can use whatever you’d like (get creative! ), but in this case, I’m sticking with fabric paint, which can be found at most craft stores. Pro tip: When using fabric paint, be sure to stick a piece of cardboard inside so the paint doesn’t bleed through to the reverse side of the sock. 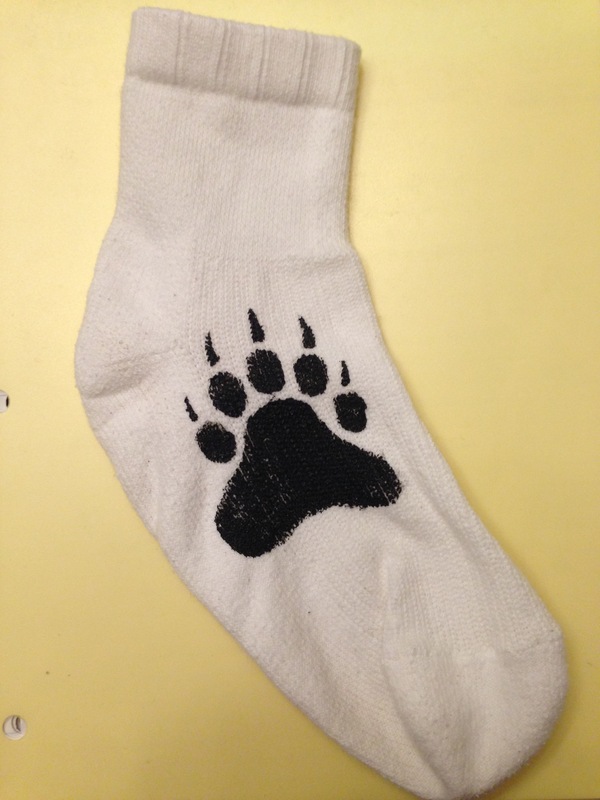 For my design, I opted for a bear print. 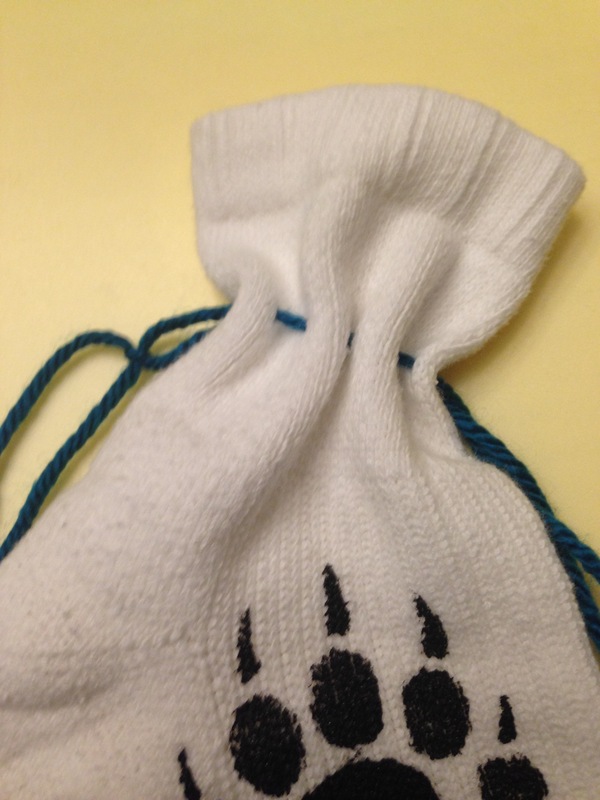 This is because my D&D ranger has a companion bear, and I purposely made this dice bag to resemble her bag of holding. It adds a special touch to the campaign experience. Once you’ve decorated to your liking, you’ll create the device used to secure your dice bag shut. Make sure whatever string you use is no thinner than standard yarn, so it can withstand the tugging of being repeatedly pulled open and closed. Face the opening of the sock to the top of your workspace. 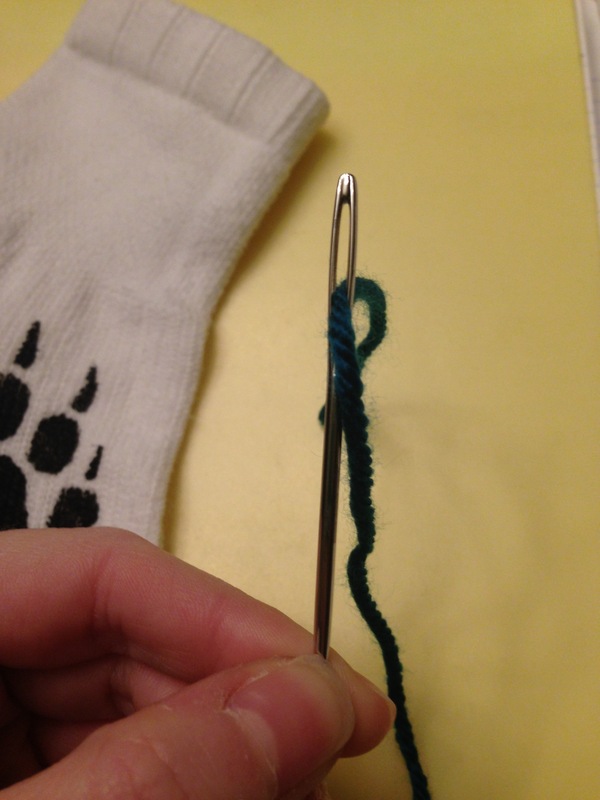 At one end of the sock, about one or two inches down from the top, pierce the side with your threaded needle. Weave the string in and out horizontally across the front of the bag, going through the stitches of the sock pictured earlier. Try to weave the stitches evenly across, staying at the same general height, parallel to the sock top. 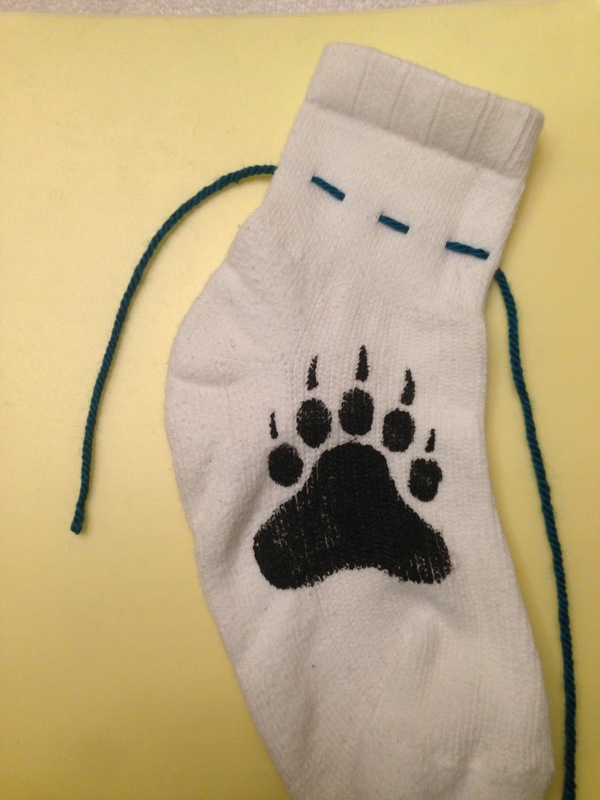 Repeat this on the reverse side of the sock, and there should be two string ends on both the left and right sides. Finally, knot the two ends on each side together, leaving about a half inch of space from the knot to the sock. Pull it shut for a quick test, and there you have it! There’s quite a bit of variation to this method, but the two basic things you’ll always need are a pouch and some drawstring. Next time, you can try sewing or even knitting your own bag instead of beginning with a sock. There are dozens of free knitting and sewing tutorials online if you want to pick up a new skill to craft even more! I mostly knit my dice bags, and the results have been great. But, no matter your preferred craft method, I wish all of you nerds the best of luck, and may you all roll natural twenties. Lianne is a twenty-something Long Island native who is awkwardly navigating through life. She enjoys video games, comics, and binge watching as much anime as humanly possible on the weekends. Her friends will also say there are a lot of “dad jokes” involved.